Racially concentrated areas of affluence, by the researchers’ definition, are census tracts where 90 percent or more of the population is white and the median income is at least four times the federal poverty level, adjusted for the cost of living in each city. Racially concentrated areas of poverty, by contrast, are census tracts where more than 50 percent of the population is non-white, and more than 40 percent live in poverty. Detroit has 55 racially concentrated areas of affluence and 147 racially concentrated areas of poverty, according to the research, done by Ed Goetz, Tony Damiano, and Jason Hicks. Detroit’s racially concentrated areas of affluence are just 1.1 percent black. Its racially concentrated areas of poverty, by contrast, are 76 percent black. Cities such as St. Louis, Boston, Baltimore, and Minneapolis have more racially concentrated areas of affluence (RCAAs) than they do racially concentrated areas of poverty (RCAPs). 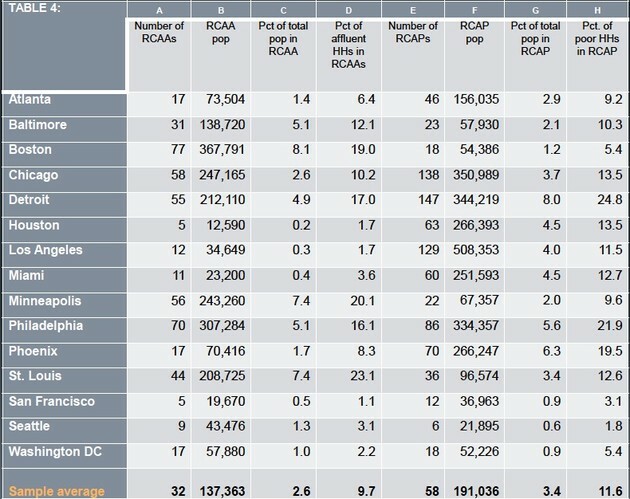 Boston has the most RCAAs of the cities they examined, with 77. St. Louis has 44 RCAAs and 36 RCAPs. Other cities with a large number of racially concentrated areas of affluence include Philadelphia, with 70, Chicago, with 58, and Minneapolis, with 56. 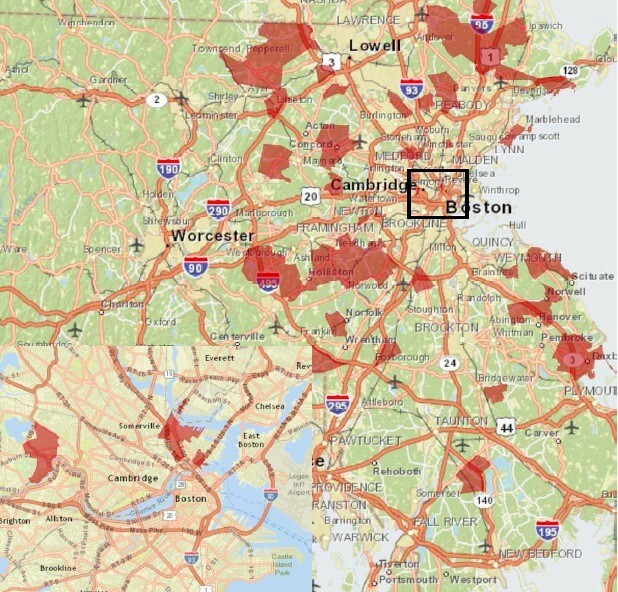 In Boston, 43.5 percent of the white population lives in census tracts that are 90 percent or more white and have a median income of four times the poverty level. In St. Louis, 54.4 percent of the white population lives in such tracts. Still, it’s the poor areas, rather than the areas where whites have self-segregated, that get the most attention from policymakers, who have sought to ameliorate concentrated poverty in segregated areas by moving families from black, urban areas to white suburbs. Beginning in 1989, the federal government started dismantling housing projects, spending billions to retool the type of housing available to low-income people in urban cores. Programs may still integrate schools between white and black areas, as I’ve written about before, and they may move black families to white neighborhoods, as I’ve also detailed. But government programs don’t—and probably shouldn’t—move white families from wealthy areas to somewhere else (although they do provide incentives for home buyers or builders to locate in certain lower-income neighborhoods, thus beginning a process of gentrification). Goetz and his team are still researching the effects of this self-segregation of whites, but he thinks that a high number of RCAAs may be a negative factor for cities. This brings to mind a metro area such as Detroit, which emerged from bankruptcy last year, and was characterized by a poor and segregated urban core and wealthy white suburbs that did not contribute to the city’s revenue. The executive of Oakland County, to Detroit’s north, which is one of the whitest areas in the nation, has said publicly he doesn’t feel any incentive to help the city of Detroit. Goetz and his team also researched the RCAAs’ and RCAPs’ distance to downtown. Areas of affluence are located, on average, 21.1 miles from a metro area’s downtown. In Detroit, racially concentrated areas of affluence are, on average, 24.2 miles from the city’s downtown. In Washington, D.C., racially concentrated areas of affluence are 25.1 miles from downtown; in Chicago, they’re 22.1 miles. Racially concentrated areas of poverty, on the other hand, are on average 6.6 miles from downtown, and in cities such as Baltimore, St. Louis, and Philadelphia, they’re much closer. There is less self-segregation of metro areas in the West: San Francisco and Houston have just five racially concentrated areas of affluence each, Seattle has nine, Los Angeles, 11. Seattle has just six racially concentrated areas of poverty and San Francisco has 12. These western cities have larger populations of affluent minorities, and are, in general, more diverse. Only 1.1 percent of affluent households live in RCAAs in San Francisco and only 3.1 percent do in Seattle, but in St. Louis, by contrast, 23.1 percent of affluent households live in a racially concentrated area of affluence. In cities in the North and East, there are also still lingering effects of the housing policies that, for decades, kept non-white families from buying in certain neighborhoods. The racial makeup of concentrated areas of poverty differs between regions, too: they’re predominantly black in Atlanta, Baltimore, Chicago, Detroit, St. Louis, Philadelphia, and Washington, predominantly Latino in Houston and Los Angeles, and mixed in Boston, Minneapolis, and San Francisco. Goetz and his fellow researchers are planning on looking into why these areas form in certain cities and certain places, and whether people pay a housing premium to live in segregated areas of affluence, as opposed to more racially diverse areas of affluence. 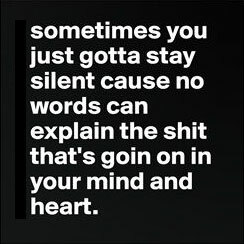 Some of their further research has already generated interesting results. They looked into how federal housing dollars are spent in areas of poverty and areas of affluence in the Twin Cities and found something surprising: The government spends just as many housing dollars in areas of poverty as it does in areas of affluence. In racially concentrated areas of affluence, federal dollars come in the form of the mortgage-interest deduction. In areas of poverty, they come through vouchers and subsidized housing units. In the Twin Cities, the total federal investment in the form of housing dollars in RCAAs was three times larger than the investment in RCAPs. On a per capita basis, it was about equal. Federal dollars are now being spent to “subsidize racially concentrated areas of affluence,” Goetz said.